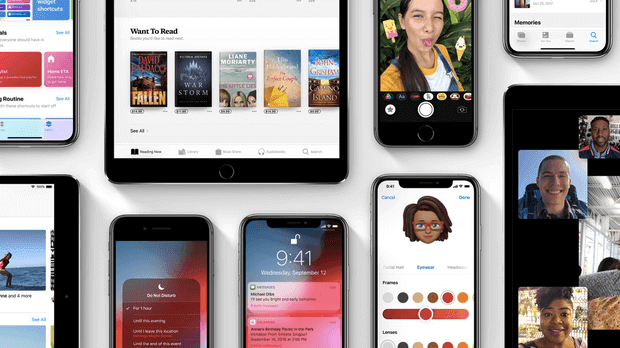 Apple has finally released the iOS 12.1.1 update with several new features for iPhone and iPad.Here's what's new included with the update. Despite the fact that the update includes minor updates and bug fixes yet the vast majority of them are necessary and fixes the issues from the previous update.Released on December 5, the most recent kind of iOS should please FaceTime users, as you can now more rapidly bounce between the front and back camera during a video call. iOS now enables users to take Live Photos during FaceTime calls given that the feature is enabled on the other end. iOS 12.1.1 places the Flip button directly on the home screen; previously you needed to jump into a different menu to get to that button.The iOS update additionally enables users to now hide the sidebar in the News app on iPad when in the landscape orientation. iPhone XR and XS owners anxious to try out Apple's eSIM dual-SIM feature will discover more carriers available. You can see a list of supported carriers worldwide at Apple's eSIM support page. eSIM includes a virtual SIM card slot, which lets iPhone XR and XS users juggle two phone numbers on one device. There is another modest change that comes the update, which is a redesigned symbol for Apple Watch application, which presently looks more like the Apple Watch Series 4. The update additionally fixes an issue where iPhone and iPad users found that Face ID stopped working abruptly for a few minutes. Next, iOS 12.1.1 includes support for electrocardiograms as a step toward the ECG application anticipated that would launch for the Apple Watch Series 4 in the following version of WatchOS. For iPhone XR, notification preview using haptic touch is now supported. The iPhone XS and iPhone XS Max previously had this feature with 3D touch. MacOS 10.14.2 update: What's new? The MacOS update brings a bunch of changes also like support for real-time texting for Wi-Fi calling and adding new menu item to News application for opening a story in Safari. The update additionally fix an issue that had recently been keeping "iTunes from playing media to third-party AirPlay speakers". tvOS 12.1 update: What's new? The fourth and fifth generation Apple TV has additionally been updated to tvOS 12.1. The update doesn't bring any real changes however focuses on bug fixes and under-the-hood performance improvements. As Apple prepared to release HomePod in the Chinese market, with the 12.1.1 update for the speaker, Apple has included support for Mainland China and Hong Kong on the HomePod. Moreover, when you connect with HomePod while FaceTiming somebody, you will now observe the speaker's LEDs illuminate.